There’s no doubt that Sony’s PS4 has been an unqualified success this console generation, and with over 40 million units sold so far, it is fair to say that the PlayStation 4 has left its rivals in the dust to date. Sony does not seem to be resting on its laurels though, and recently announced that two new versions of the PS4 would be hitting the market soon, the much vaunted PS4 Pro (which the press had widely referred to as the PS4 Neo before Sony’s announcement) and a slimmer, more lightweight PlayStation model. Information about this “slim” model had been notoriously leaked before Sony’s announcement event in New York, to the point that almost all details about the new machine were known before a member of Sony’s team came on stage to reveal the new PS4 model. Actually, it made sense that Sony would release a PS4 Slim at this point in this console generation, after all, there were “slim” versions of the earlier PS3 and PS2 consoles, and Sony even released a more lightweight version of the original PlayStation back in the day. Is the new slimmer PS4 actually better looking than the old model (pictured)? The thing is, though, whether this new slim PS4 model is a good replacement for the original, or whether Sony just released a more lightweight PlayStation as a nod to tradition, and also not to fall behind Microsoft’s Xbox One S console, which frankly is an attractive, lightweight and smart redesign of the Xbox One, and the main rival of the new PS4 Slim. The new PS4 does compare favourably with the Xbox One S when it comes to price, as both consoles will be shipping at $299 in the US, but other aspects of the new PS4 might not be to consumer’s liking though. 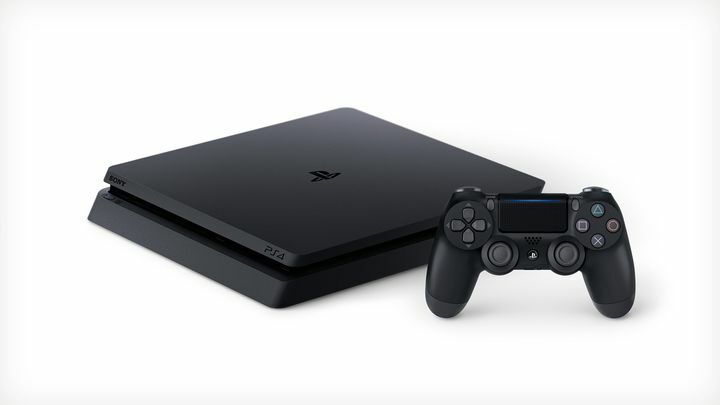 For starters, the new design with its rounded edges is arguably less attractive than that of the original PS4, and the truth is that this slim redesign of the PS4 is not that much smaller, and won’t be saving gamers a ton of space at home. The new design also means that the new PS4 Slim won’t be as stable in the vertical position without a stand as the original PS4 was, meaning those looking to buy the console will want to invest in such a stand if they want to place the machine vertically. In the end though, Sony releasing a slim version of their world-conquering PS4 console was almost an inevitability, but given Sony’s huge lead in sales over rival Microsoft and the PS4’s slight power edge over the Xbox One S when it comes to gaming, even if this new PS4 console does not look like a huge step up from the original model it is still likely that it will continue to dominate the console market in the foreseeable future.